Extend your knowledge of British Archaeology with this one-year, part-time course. This Advanced Diploma aims to give you a grounding in British Archaeology within the context of the particular period under investigation. You will further your understanding of the skills and techniques needed to recover, process and evaluate archaeological evidence. You will also research and write a 10,000-word dissertation in a topic of your choice in British Archaeology. We are holding an open evening on Thursday 21 February 2019, 6.00-7.00 pm, at Rewley House, 1 Wellington Square, Oxford OX1 2JA. You are invited to visit the Department, meet the Course Director and discuss the course. If you would like to attend, please email undergraduate@conted.ox.ac.uk. Equivalent to the third year of undergraduate study (FHEQ Level 6), this course is the next step if you have completed, or are due to complete, our Undergraduate Diploma in British Archaeology or other similar courses at second-year undergraduate level (FHEQ Level 5). You will attend weekly Thursday evening classes, which are two hours long. You will also have tutorials, weekend field visits and either a practical course held over two weekends or approximately one week of practical fieldwork. You are given a programme of reading for the teaching sessions and the written work. Assessment is based on three assignments, a practical logbook and a 10,000-word dissertation. As well as the time spent in teaching sessions, you will need to spend around 12 hours a week studying in term-time. This might include reading, preparing course work, and visiting museums, libraries and sites. You will be able to use the facilities of the Continuing Education Library for your background reading and research. There are three modules, which are offered in different years. You take one module for this course. The first humans arrived in Britain more than 800,000 years ago when the climate and geography of the British Isles were very different from what they are today. This course will examine the early prehistory of Britain from the time of these earliest inhabitants until c. 1000 BC. The dramatic environmental changes and the behaviour of early hominin populations will be considered within a European context, and the cultural developments of the British Palaeolithic will be examined. Hunter-gatherers of the Mesolithic, the society and settlement of the first farmers, trade and exchange, and the emergence of new technologies including the use of metals will be explored. Three assignments of up to 2,500 words. A practical logbook of up to 4,000 words, to include two tasks. The tasks usually involve a practical element, for example a field trip and/or museum visit and/or archaeological fieldwork. A 10,000-word dissertation on a topic agreed with the Course Director. The Course Director is Dr Alison MacDonald, OUDCE. A range of tutors will teach specific topics. The Course Director and tutors will be able to help you with academic advice and support. In addition, the Department runs a programme of Study Skills workshops designed to help you develop and improve the skills needed for effective study. You can view full details of this programme, or contact the Study Skills office at studyskills@conted.ox.ac.uk or +44 (0)1865 280892. For advice and information on educational opportunities, credit transfer, special needs provision and sources of funding please contact the OUDCE Widening Access Officer on +44 (0)1865 280355 or student.support@conted.ox.ac.uk. Please use the apply button on this page to download the application form, which includes a reference form. OUDCE Diploma students who would like to progress to the Advanced Diploma should return a completed application form to the address below. No reference is necessary. Other applicants should complete the reference form and send it to their referee, asking him/her to provide a reference by direct email to us. Please note that the reference is compulsory and we cannot consider your application without it. If possible, your referee should be a person who can comment on your academic ability and background, but where this is not possible, you should name a referee who can vouch for your motivation, commitment and potential. A reference from a family member is not acceptable. A statement of 200–300 words explaining why you wish to enrol on this course, including details of any previous experience in the subject and membership of relevant societies or groups. The application deadlines for this course are Thursday 7 March 2019 and Thursday 9 May 2019. Applicants who submit a complete application by 7 March 2019 will be guaranteed an interview. We will consider late applications if there are still places on the course. The final decision on course entry rests with OUDCE. Students are eligible for the award of 60 transferable credit (CATS) points at FHEQ Level 6 on successful completion of the one-year course. 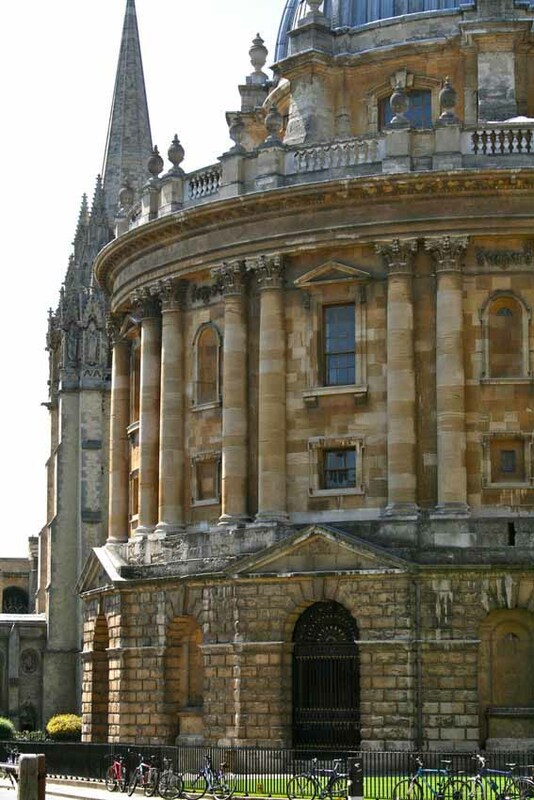 Credit points may be transferred to the Open University, modular universities such as Oxford Brookes University, and other institutions of Higher Education. For further information about transfer of credit, contact the Student Adviser on +44 (0)1865 280355 or student.support@conted.ox.ac.uk. The fee for 2019–20 is £2,475 (Home / EU students) or £4,650 (non-EU students). An option to pay the fee in instalments is available. The fee includes tuition for the practical fieldwork or the two practical weekends. Accommodation during these periods may be available at Rewley House at an additional charge. It is not essential to buy books, but there may be a few recommended key texts which you might like to buy. Transport for field trips and the practical field work is normally arranged on a car sharing basis by the students themselves. Costs of any additional hire of transport would be paid for by the students. Entry fees to museums or sites are paid individually by the students. The MSc in Applied Landscape Archaeology is a part-time modular course over two years.